Our hysterical traffic violator school (TVS) programs are a cost-effective way to take traffic school right from the comfort of your own home—or wherever you have Internet access. And for you last-minute bargain shoppers, we're here to help with same-day electronic reporting of your completion directly to the Department of Motor Vehicles. Our DMV-licensed courses are affordable, easy, and entertaining! 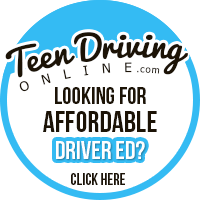 Looking for a great traffic violator school that won't break the bank? Our hilarious traffic school courses will keep you on the road to safety at prices you can live with! Colorful charts and illustrations make the material easy to understand, and you'll laugh while you learn with hilarious driving-related jokes. 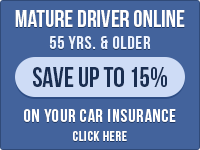 You'll be back on the road in no time with our safe-driving tips! The California DMV has licensed our traffic violator school program. Rest assured that you'll be processed properly and those points will be removed from your record.